Are you interested in Aerospace? Then you would love our case study with EOS about Additive Manufacturing of probes for measuring flow speed and temperature in turbine engines. Please find our case study here. Vectoflow designs and manufactures the industry's most powerful systems for fluid dynamic measurements. 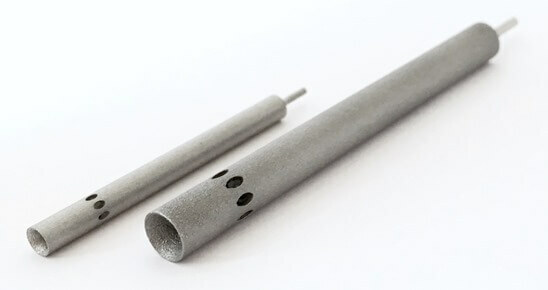 These are based on proprietary modeling and additive manufacturing technologies. Vectoflow supplies measuring systems consisting of the flow probes, the measuring hardware as well as the software. Traverse systems as well as consulting services round up the product portfolio of Vectoflow. Companies such as Siemens, GE and Safran as well as research institutions such as the DLR, Onera and UTC use Vectoflow systems worldwide to control velocities, flow angles, pressure and temperature in their applications (e.g., turbomachinery, aviation and automotive industry).